LONDON, United Kingdom- In what has been termed by some as “kicking a man while he is down”, the House of Commons has made a potentially lethal blow to the Financial Services Industry of the Overseas Territories (OTs), including the hurricane ravaged Virgin Islands, by siding with a bill brought by the United Kingdom (UK) backbench to force overseas territories to put in place public registers of beneficial ownership. Through the amendment of the Sanctions and Anti-Money Laundering Bill, the UK government would in effect be ordering the overseas territories to change how they run part of their financial services sector, even though this has been formally entrusted to the governments of the territories in their constitutions. 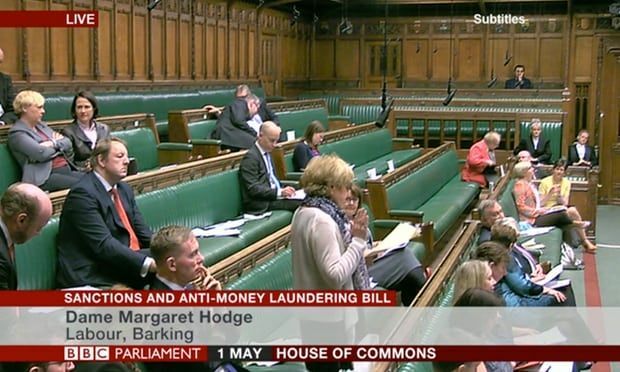 The bill was debated in the House of Commons today, May 1, 2018 and saw the United Kingdom Government of Theresa M. May make a major U-turn in accepting public ownership registers for UK overseas territories. Sir Alan Duncan, in his speech, admitted that OTs have registers that are available to the law enforcement agencies; however, the government recognises the need to tackle fraud. “But the economic impact on the overseas territories will be significant. They have their own legislatures. They are not represented in this parliament. Legislating on their behalf would disenfranchise them,” he says, adding that he UK does not want to legislate directly for them. “But the government has listened to the views of MPs. It is the majority view in this House that the overseas territories should have public registers of beneficial ownership. So the government will not vote against the [Margaret] Hodge amendment, he says. Representatives from the British Overseas Territories have been saying for months that they would strongly resist what they regard as interference in their affairs. And according to International Investment today, May 1, 2018, the passions on both sides of the debate were demonstrated this morning on the BBC’s Radio 4 morning news programme, Today, when Labour MP Dame Margaret Hodge explained her reasons for introducing her full public disclosure of beneficial ownership amendment to the so-called Sanctions and Anti-Money-Laundering Bill. Her views were strongly challenged by Lorna G. Smith OBE, Executive Director of British Virgin Islands Finance – leaving Radio 4 presenter John Humphrys to invite Hodge and Smith to continue their debate off-air, once their allotted time was up. Asked by Humphrys why she was “so exorcised” by the issue, Hodge explained that “Britain sits at the hub of the largest network of secretive organisations in the world, and that is our Overseas Territories, the tax havens”, and that “secrecy breeds wrong-doing”. “Transparency is a power tool, John, and if we could just open the registers of beneficial ownership, showing who knows what, and where the money flows, I think at a stroke we would start to destroy that criminal activity that takes place,” Hodge added. She went on to note that “half the entities that were mentioned in the Panama Papers were of companies located in the British Virgin Isles” and that “85,000 properties here in the UK are owned by companies that are located in our tax havens”, the owners of which companies aren’t known, but which a recent study of a representative sample of which had suggested four out of 10 were owned by Russian entities. Mrs Smith, the wife of Premier Dr The Honourable D. Orlando Smith (AL), retorted that Hodge’s claims were “totally false”, and that the British Virgin Islands – “as Dame Margaret Hodge very well knows” – had been “deemed largely compliant by the [Organisation for Economic Cooperation and Development], the Financial Action Task Force, and all of the [other] international organisations”, thus putting it “in the same league as the United Kingdom and the United States”. 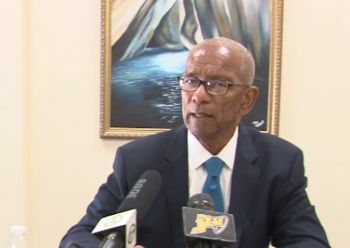 The VI’s concern about the possible insistence that it make its beneficial ownership register public, Smith added, was that the requirement would represent a “constitutional infringement” which would also “smack of colonialism”, and that it would be taking place against the backdrop of the fact that the jurisdiction was “doing nothing wrong”. Time to leave the UK? Meanwhile, Premier Smith, in a statement on April 30, 2018, said he rejects the idea that the VI’s democratically elected Government should be superseded by the United Kingdom Parliament, especially in the area of financial services which has been formally entrusted to the BVI people. It is repugnant to the constitutional arrangements that United Kingdom made when our new Constitution was approved in 2007 and would certainly undermine the constitutional relationship and destroy any trust between the BVI and the United Kingdom. Dr Smith even suggested that the VI may not allow the UK to undermine its constitution and may be seeking the high road of self-determination to protect its financial services industry. The BVI always find a was to move forward. We will survive!!! We always do!!! We dead? We are far better off than 1834 when the plantocracy was closing shop up in the Virgin Islands and said we were going to die. Melanin people shall never die. Virgin Islanders, those who truly know who we are, don't let this be a step to stop us -- let us leave the UK and on the road to self-determination. Now is the time. Forward on, Virgin Islands. To be worst off? The bvi too small and don't make nada. You proabally don't want to travel outside the bvi like the rest of us. Travel is one downside we WILL need visas to go to places we can travel to visa free like america and other islands, might need a visa to go St.thomas too most likely they they're American they can't fource America to alow us in. The bvi passport is'nt even a virgin islands passport look at the front "british passport" and the inside. We lose that on independance we get a passport that says "virgin islands" with loads of visas to get. Bye bye american dollars even if we manage to keep it our economy wont be strong to back it up. Mind you people come here to make u.s dollars. You think the usvi would consider independance when they in a similar situation as us? Are they an american colony? We have more freedom than them. We need to diversify our economy simple. As long as the uk respect our self governance thats satisfactory. I'm not advocating for colonalism when we are'nt even a colony by the way. The B.V.I will always find a way to bounce back as usual. Autonomy is important and should be respected. Even if it fails, and right now the debate has a lot of tories in favour, labour could well form the next government, and bring this back. They do actually have the right to override our constitution and have done so in other territories over capital punishment, legalising homosexuality, and crime (Turrks and Caicos). Neville and Laverty must be turning in their graves at seeing their baby torn apart. We ascribe power to the UK that they may not have, simply by never challenging them in the courts. Forget the constitution and base our challenge on our self determinant factor. If we should have to choose Independence don't forget the severance package. We should have been planning for this when we stopped receiving Granted Aid. Contrary to the mythology of Laverty (sic) Stoutt, as with so many other falsehoods that developed after his death, he had nothing to do with our financial services. It was Cyril Romney's visionary leadership that gave us financial services, cruise tourism, etc. They have us cornered from all sides now. Only options are comply or suicide (Independence). The final blow in our financial services industry coffin. What will be the next pillar to replace this industry? IMF/World Bank loans in exchange our natural resources. How many of those MPs were bribed to say Yea...hhhhmmm. Well here comes even higher taxes to us all and the tourism industry! Our eggs are coming home to roost we should have put up this type of resistance when they were passing gay rights and taking away the Capital Punishment. Its not a dead case we have tourism and other industries to be developed. The majority of the people do not want independence especially being lead by the current NDP. Mr Premier just like how the insurance companies, some of the banks and the Electricity department are taking advantage of the people with a "might is right" mentality while you sit idle by doing nothing not bringing legislation to control them. You see how it is when others make decisions that affect you even if morally they are wrong and you dont have the power to stop them or for your voice to be heard and listen to. We dont need independence we need an election to clean house in the house of assembly. Yes, Agriculture (the third pillar of our economy) will keep all those civil servants in their high paying jobs and fancy 4wd vehicles! If it had not been for the Government revenue generated by agriculture, we would have been completely mad to have made life so difficult for businesses here to operate in tourism or finance. Fortunately, we can just wave all those people goodbye knowing that we have such a vibrant agricultural sector to keep us going. Premier, lead your people to the promised land. Out of colonialism. Let us stand with the other overseas territories who are suffering from this injustice. God is trying to tell his people something! ..l.. the UK, they only saw us as a bunch of useless rocks until we the BVI created our financial industry and tourisms, we never needed them then and we don't need them now. we will use our intelligence like our forefathers and rise beyond their reach. ..l.. ..l.. them. RISE BVI its time to be the GODS of your Own Future, Fear not. My people are destroyed for a lack of knowledge....yes knowledge is power. Power to trample on snakes and scorpions, exactly the type we're dealing with here. The Christopher Columbus mentality has not changed through all these years. Woe to our false leaders who only recognize this when their backs are against the wall. Independence has and will always be the path to true freedom, there is no other way, There are no free lunches, everything comes at a price. Time is long overdue...stand up and fight back Virgin Islands. First move get rid of this BVI bulls..t. These people couldn't care less about us...all Uncle Tom niggers should realize this by now. There is one path and one path only and that is the path of relentless struggle, If you're not ready don't come monkey around politics... these are serious times that call for serious and ready people... no more Mickey Mouse Bulls..t.
painted on a BIG warhead, and makes London broil with it. Anti democracy, anti privacy nazis. Go to hell. Better start building those 5 star hotels and golf courses like the Bahamas. We just need to stop the foolishness of depending on one thing and diversify. Telecom/Technology is a big industry but we spent years protecting three companies and holding back growth. Lite Manufacturing is another there is much more. Going independant wont help. The people who invest here are at the mercy of the big countries who want to get in as much tax as they can. Investment may become criminal. Fishing is a great economic pillar.Its big for other islands and we can do it. Help our fishermen to be equip and provide a good market place. We have the perfect waters for it. person - think it through. @@@ Wize Up: my question to you; what can U or we as a developing society do to circumnavigate the ruling by the United Kingdom? I hear your talk and I understand all your talk but after all the talking(what??!) there are things in this life that you can change while there are things we simply have to live with: the people them done pass the laws; and you know what is so laughable(this issue been on the drawing board for years) and some of we acting so shock(please pick yourself up)....what you intend to do after the taking done because mouth talk don’t do handwork!!!!! keep the faith?? ?